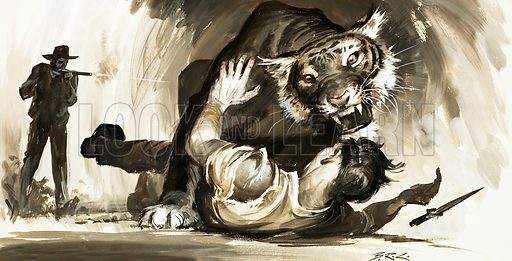 Tiger attacking a hunter. Original artwork (dated 27 June). Available worldwide for immediate download up to 5,598 x 2,858 pixels.